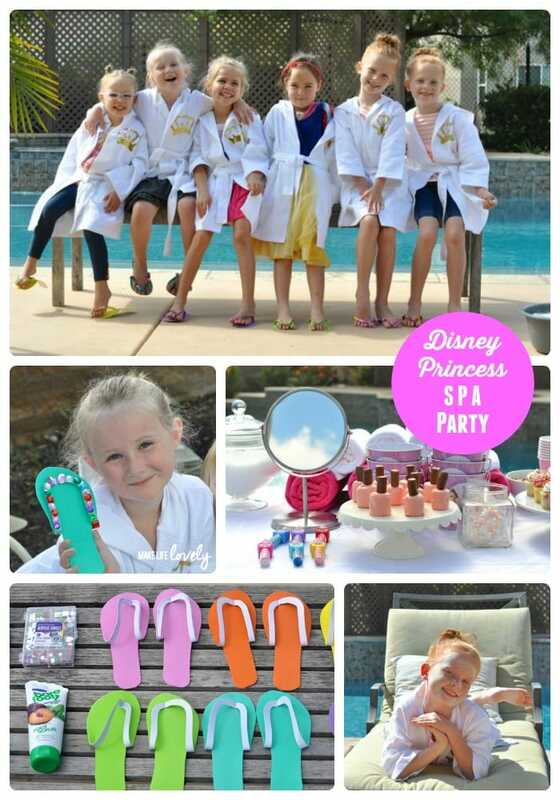 I am SO excited to share a fun Disney princess makeover spa party with you that I put together last weekend. 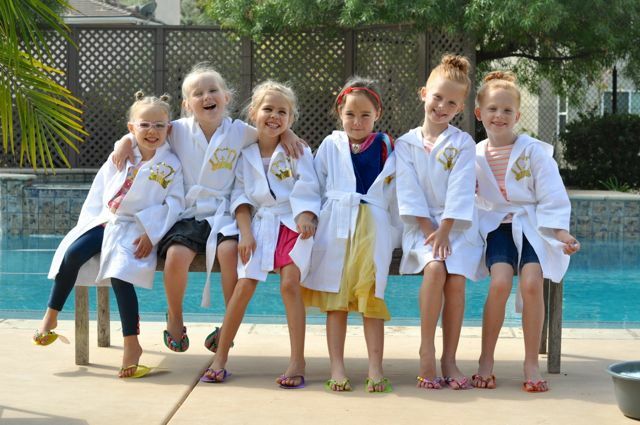 We invited a few of my daughter’s friends over for a day of pampering, soaking, scrubbing, nail-painting, and treat-eating! I’m not sure who had more fun- me or the girls! 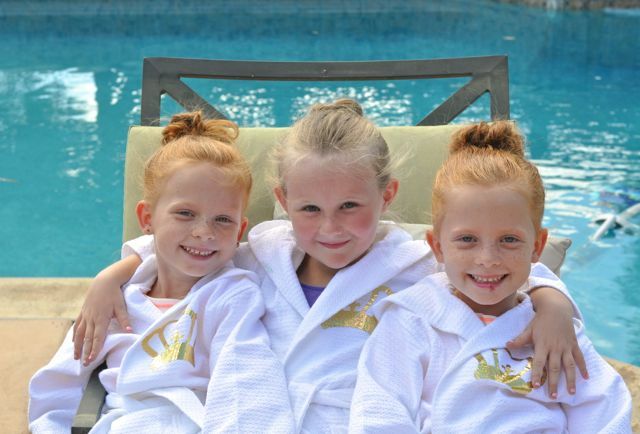 I’ll be sharing with you some of the ideas I came up with to give these cute little princesses the royal treatment they deserve! 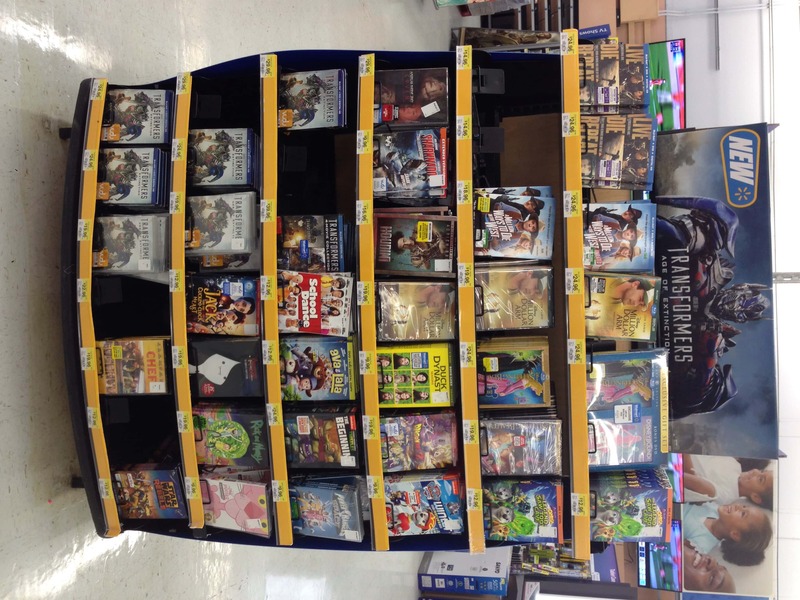 To get ready for the party, I took a big shopping trip to Walmart. 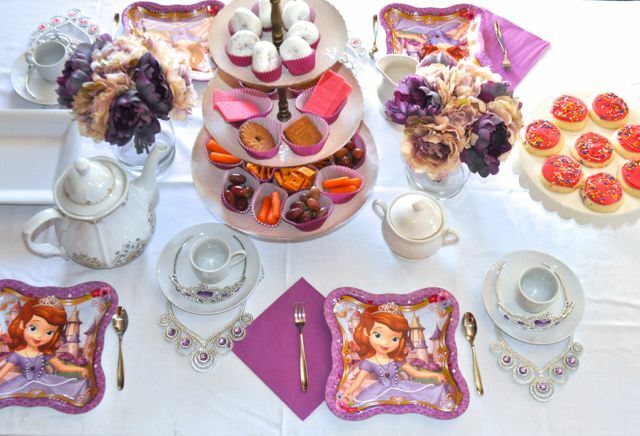 They have tons of Disney princess items that are great for putting together a party. I also found Disney princess plates, cups, invitations, and thank you cards all made by American Greetings, which were a great addition to the party, and were a good deal with the tearpad coupon for $3 off a $10 purchase of Disney-themed party supplies.I also picked up the Sleeping Beauty Diamond Edition Gift set that was just released from Disney’s vault on October 7th… one of my favorite Disney princess movies ever! I also bought a Disney Princess CD that was filled with lots of princess songs from various Disney movies. The music was playing outside on speakers throughout the whole party, and it was fun to see the girls singing along to their favorite songs! 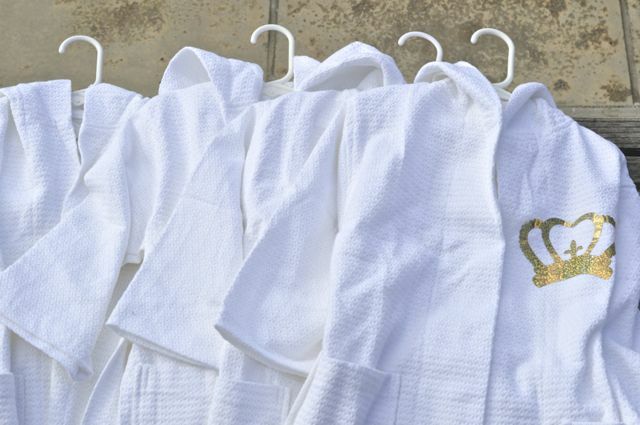 I wanted all of the girls who came to have the feel of going to a real spa, so I bought them all white robes, and embellished them with sparkling gold crowns. They turned out AMAZING, and I’ll write a tutorial for them soon. 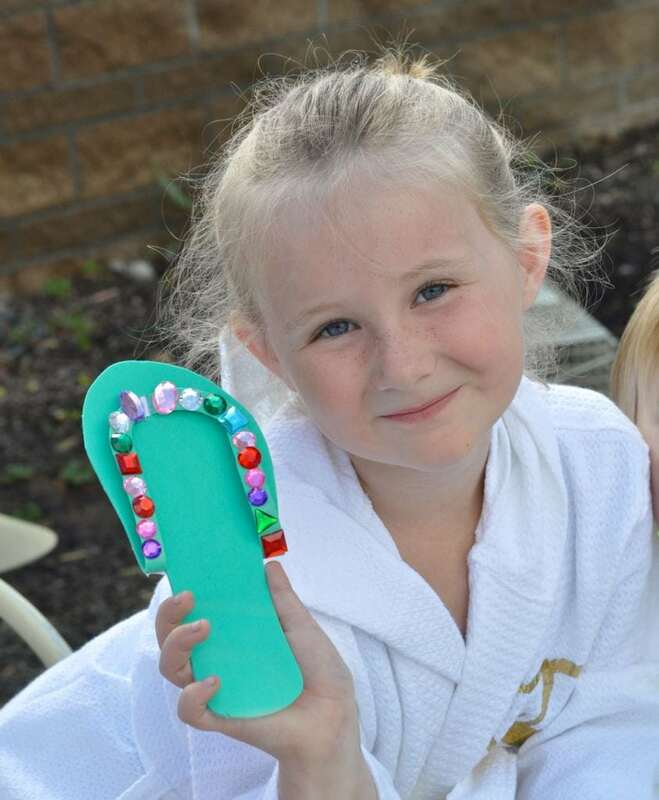 After each girl was given her robe, she got to choose a pair of spa pedicure sandals that I made out of foam, just like the ones that you get when you get a pedicure at the salon. The craft foam that I bought at Walmart had an adhesive side with a paper backing, so the top piece was sticky once the paper was pulled off. I placed lots of sparkly princess jewels on the table and let them embellish their spa shoes by simply sticking them on. They were so cute in their sparkly shoes, and loved the activity! Tutorial to come for the details on how to make your own sparkly princess pedicure spa shoes! They were SO easy. 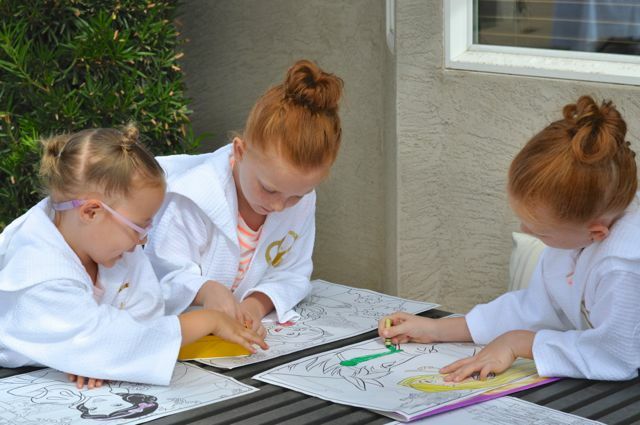 Next the girls saw the giant Disney princesses coloring pages and begged to color. I had planned on the coloring pages to be a filler if we needed an extra activity, but they were really excited about it, so I let them color for a bit, and then take their pictures home to finish coloring. 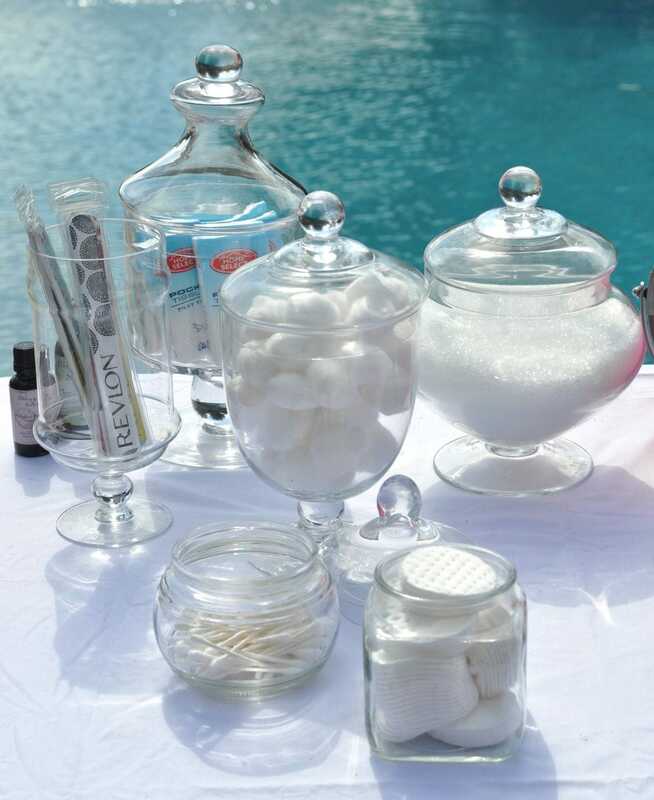 I set up a long table, and filled half of it full of spa supplies that we would be using (and that the girls would be taking home for favors). I used my collection of apothecary and glass jars to hold Epsom salts (that they sprinkled in their foot soak), cotton balls, Q-tips, cotton rounds, nail files, tissues, rolled up pink and white towels, Disney princess lip gloss (one for each girl), and cute Disney princess metal buckets that they put all of their party favors in. 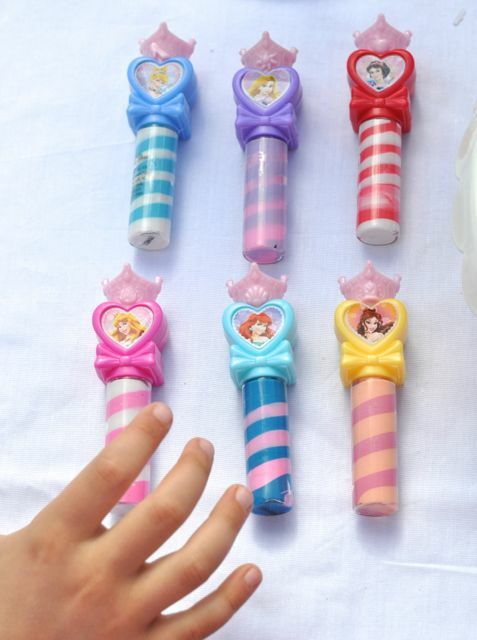 They were the most excited about the Disney princess lip gloss, and could barely contain their excitement at choosing which princess lip gloss they wanted! I bought a mirror for them to apply their own princess lip gloss, which they were pretty happy about. 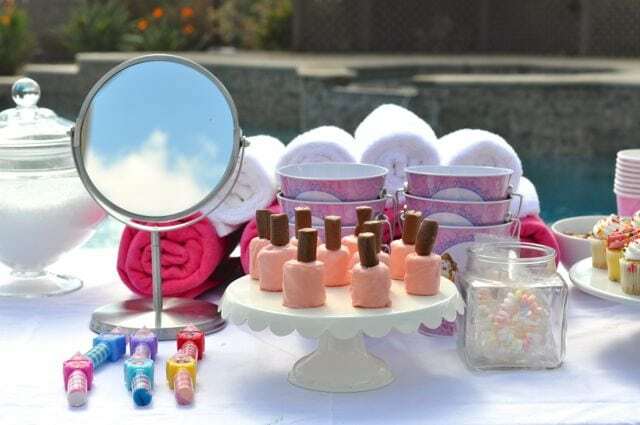 I made some adorable “nail polish” treats out of marshmallows, pink candy wafers, and Tootsie Rolls…. SO cute! The other half of the table was full of apples, bananas, grapes, crackers, mini cupcakes, lemon cookies, candy necklaces, and water for the girls. They ate it all on some pretty Disney princess plates, drank their fruit smoothies out of Disney princess cups, and of course they had to use pink silverware to eat with! To cover up the label on the water bottles, I simply wrapped gold Duck Tape around it. Nice and easy! 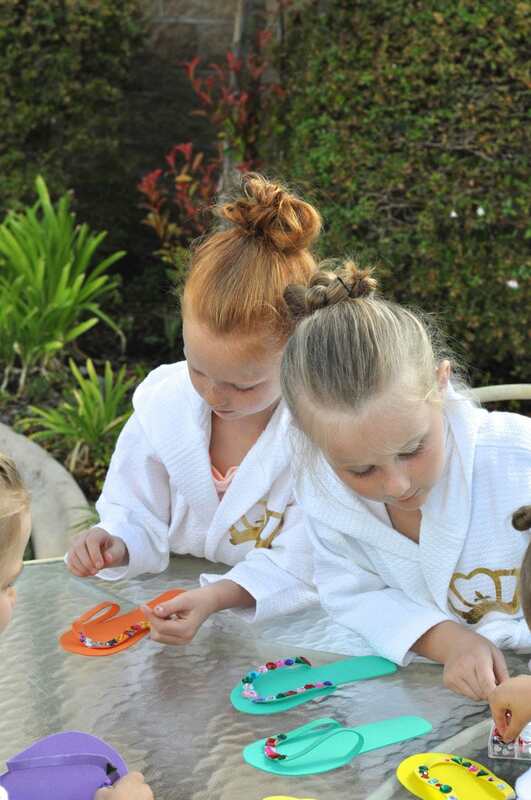 After coloring and eating the girls were split up into a few different stations- the princess foot soak and scrub, manicures and pedicures, and facials. At the princess foot soak and scrub, the girls put their feet in warm soapy water for about 10 minutes to let their feet soak, and then had a peppermint plum foot scrub applied to their feet. Their feet were massaged, rinsed and dried off, and then moisturized with their choice of scented lotion from part of my lotion collection. I bought some big plastic tubs, but they only carried darker colors, so I had to lighten them up! I used the same die that I used on the crowns on their robes, and then glued it onto each plastic tub. 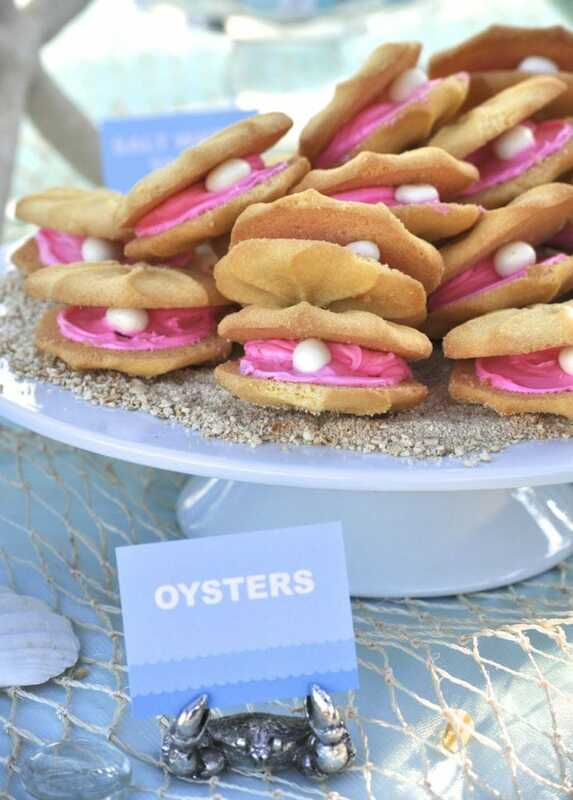 So easy, but a great way to spruce up their tubs to go with the overall theme of the party. At the manicure and pedicure station the girls got to choose which nail polish color they wanted on their fingers and toes. 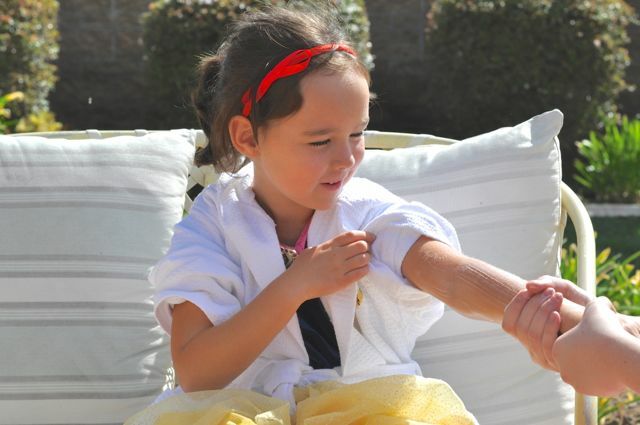 Then they got a little hand and arm massage by my older daughter, complete with their choice of scented lotion. They loved it, especially this cute little Snow White! While they were getting their nails and toes done, I made up two batches of berry smoothies for them. 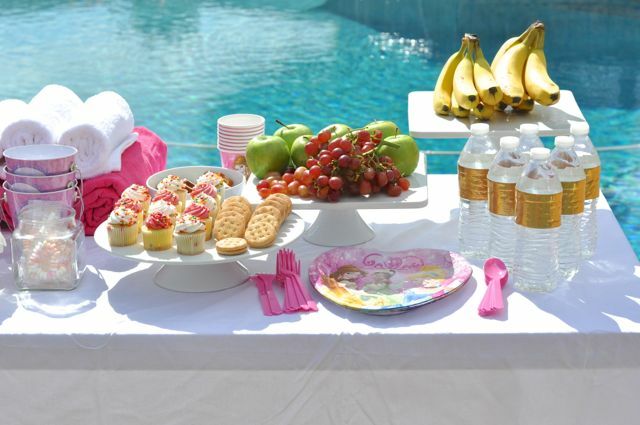 No spa party would be complete without fruit smoothies! 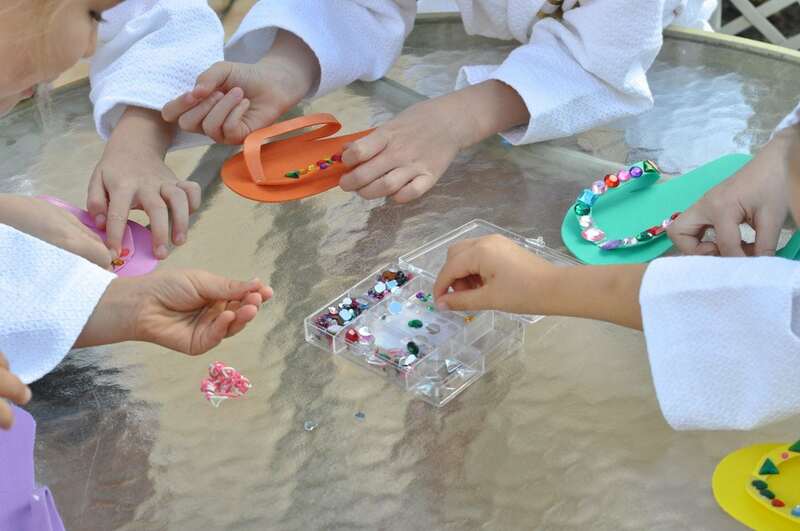 After each girl had enough to eat and had finished each of their “treatments,” I had a table set up with pretty beads and plastic beading cord for them to make their own bracelets and necklaces. They wanted to make as many as possible before their moms came back to pick them up! 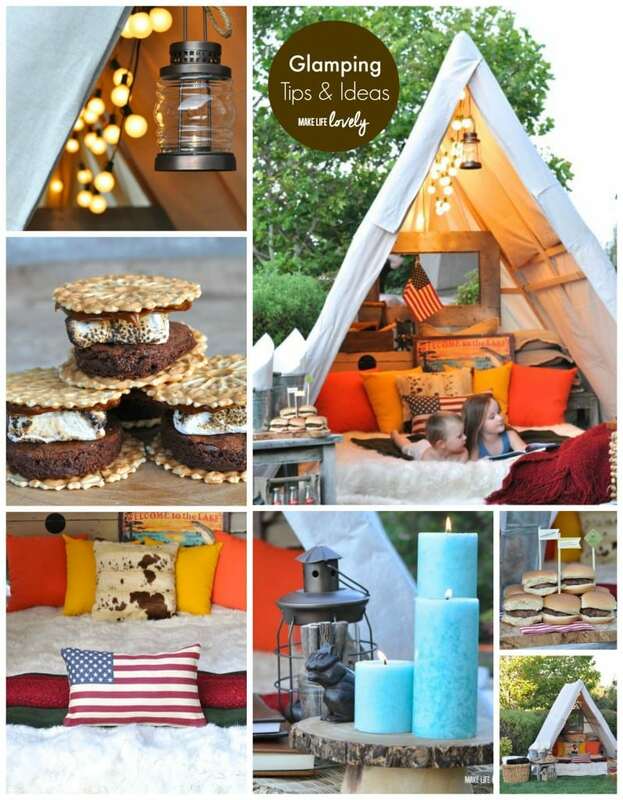 I hope this gives you some party ideas for the little girl(s) in your life. 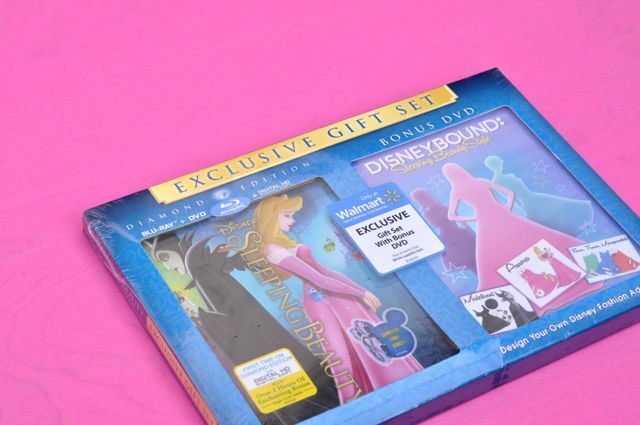 Don’t forget that Disney’s Sleeping Beauty DVD is out of the vault, and available at Walmart! 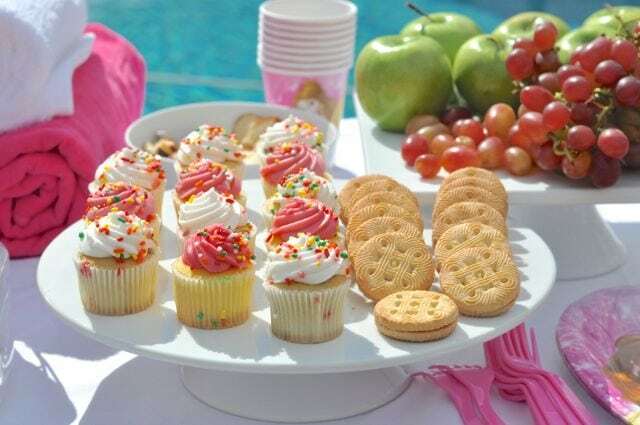 Here are some important things to remember when planning a birthday party, to make sure you haven’t left anything out. First you will want to choose a date, time, location, and theme. Next decide who you want to invite to the party, and get out those invitations in plenty of time! 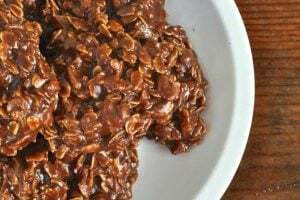 What will you feed your guests? 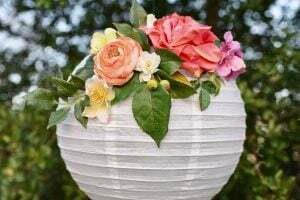 You’ll need to figure out the tableware, decorations and balloons, games, party favors, and the schedule of events for the party. Don’t forget to order a cake (if you’re not baking one), food, and balloons in plenty of time. 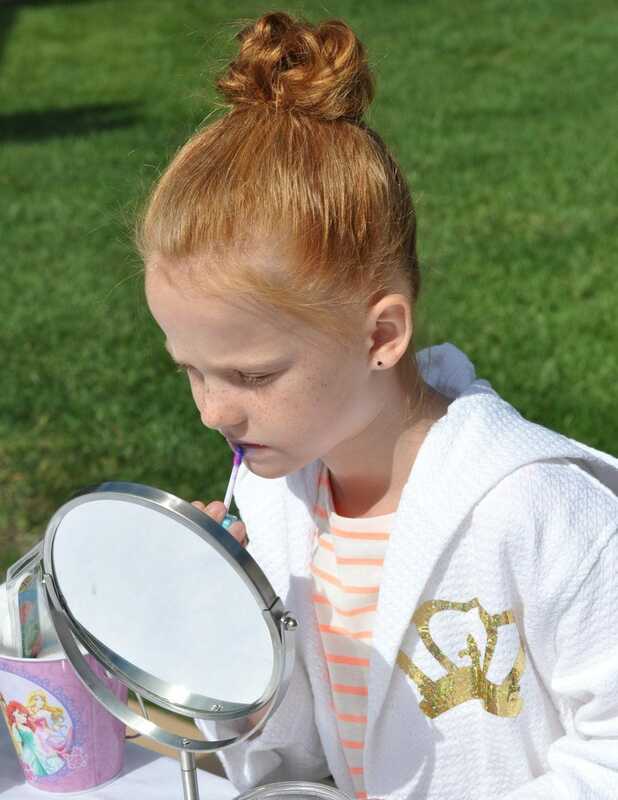 Will your child wear a special outfit or costume for their big day? Don’t forget the present for the birthday child, along with a card and gift wrap. Make double sure that cameras are charged and ready to go- you don’t want to miss those great birthday party shots! Assign someone the task of writing down the gifts that your child received and who gave it to them so you can write out those important thank you notes to family and friends. Once all of these things are completed, you can be sure that your party will be a smashing success! If you liked this post, I’d love for you to follow me on Facebook, Pinterest, and Instagram for more creative ideas. Thanks for following! 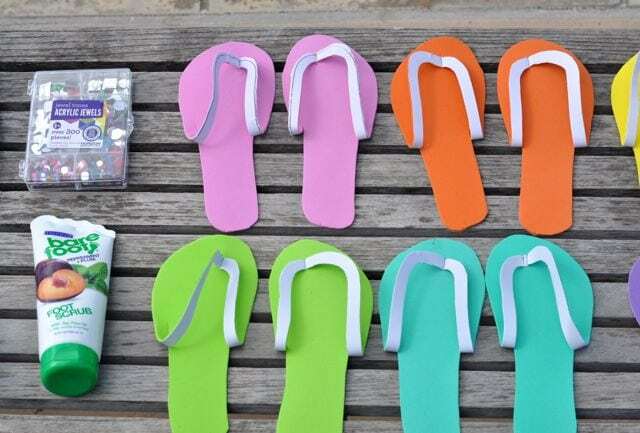 How did u make the foam sandals? Nice job! Where did you get the robes? 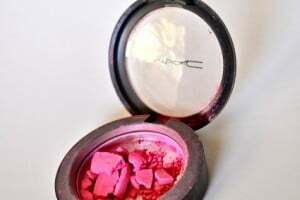 What was the cost?